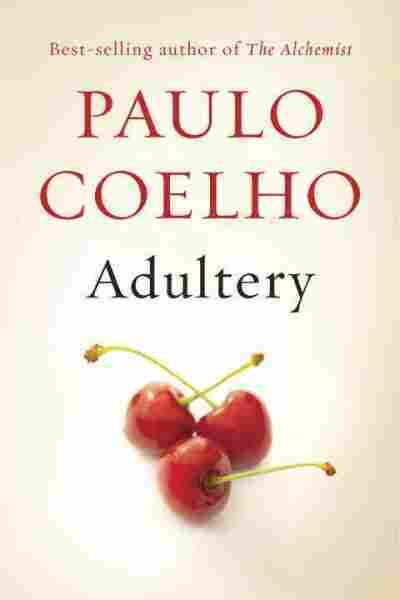 Book Review: 'Adultery' Critic Heller McAlpin says readers picking up Paulo Coelho's new Adultery in search of deep philosophical insight on marital infidelity and a lack of cliches might be better off with Madame Bovary. You've heard this story before. You may even have experienced it, or thought about it: A woman who apparently has it all — loving, financially successful spouse, posh home, wonderful, healthy kids, great job — still feels something is missing from her life. Could it be passion? Adventure? Risk? She throws herself at an old high school boyfriend. What's love got to do with it? Dismayingly little. I wish I could say that Paulo Coelho's new novel brings something new to the field, but instead he's written the literary disappointment of the year. Adultery is tedious, narrated by one of the least sympathetic or interesting people you ever want to spend time with between any kind of sheets – paper or linen. True, Linda doesn't actually murder anyone, or even inflict particular damage. But she's a monster nonetheless — of self-absorption. It's hard to believe that Adultery is by the same author who wrote The Alchemist, that beloved mainstay of self-actualization. Whereas that inspirational Fable-About-Following-Your-Dream had charm, this plodding confessional about learning to keep love and life fresh is simply tiresome. It all starts when Linda, a "highly regarded journalist" who lives a privileged life in Geneva, Switzerland with her two kids and her "wonderful husband who is not only madly in love with me, but also the owner of a large investment fund," interviews a writer who tells her, "I haven't the slightest interest in being happy. I prefer to live life passionately, which is dangerous because you never know what might happen next." She starts to question her cautious, routine existence, quickly becoming "torn between the terror that everything might change and the equal terror that everything might carry on exactly the same for the rest of my days." As Linda agonizes over the trials of having "such a happy, perfect life," readers might find it difficult to drum up much sympathy. The novel isn't helped by the platters of platitudes Coelho serves up: "Sin is followed by a fear of being caught." "Not everyone needs to feel happy all the time. Besides, no one can be happy all the time." "You don't choose your life; it chooses you." "A dream is always risky, for there is a price to pay." Asides on Frankenstein, Jekyll and Hyde, John Calvin, and Paul's letter to the Corinthians offer as little relief as Linda's sexually charged but warped affair. In fact, by the time she comments, "I can't stand myself any longer. My life is like a film endlessly repeating the same scene," we agree – but, alas, still have four-fifths of the novel to spool through. There are a few mitigating features in this misfire of a morality tale. First, let it not go unsaid that Coelho captures his vapid narrator's female voice convincingly — to a fault. Second, by setting his story in Geneva, and making Linda a newspaper reporter (albeit with journalistic ethics that make plagiarists seem honest), he's able to work in some interesting observations about Swiss culture and government – mostly, how dull they are. Fortunately, Coelho doesn't squelch his intellect completely. Adultery is briefly enlivened by a reference to the dilemma of intimacy exemplified by an allegory about porcupines popularized by the German philosopher Arthur Schopenhauer: when the animals draw close in the cold for warmth, they prick each other, yet when they move apart, they shiver. An explanation of how the fountain in Geneva's Lake Léman came about – initially a release valve for the city's hydroelectric power station, built where the lake meets the Rhone River to take advantage of the strong current – leads to one of several metaphors for the constant flux of love (kaleidoscopes are another). Coelho eventually works his way toward sensible – but hardly new — life lessons about learning to love. But for deeper insights into love and adultery, Flaubert's Madame Bovary, Tolstoy's Anna Karenina, Updike's Couples, and Louise Desalvo's Adultery, an enlightening personal treatise on this complex subject, remain far better bets.